World Heli Challenge kicks off this weekend! PRESS RELEASEPerfect snow conditions await the athletes who have traveled around the globe for the resurrection of one of the worlds most explosive snow events, the World Heli Challenge. The return if this internationally acclaimed helicopter accessed ski and snowboard has been most welcomed by athletes and media around the world. 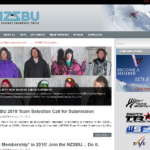 Warren Miller Entertainment, Channel 10 Australia, ONE HD, Fairfax Digital Media, Bigpond TV, Mountainwatch.com and Quattro Media are among the hundreds of media outlets have embraced this events return to the annual snow sports calendar. The World Heli Challenge brings together a host of athletes representing various backgrounds in ski and snowboard disciplines. A cross breed of alpine racers, terrain park, half pipe athletes and all round free skiers and freeriders meet together where their ability is pushed to limit across three days of helicopter accessed snow sports competition. The event is held in the Mt Aspiring National Park, adjacent to the magnificent Lake Hawea and Makarora Valley near Wanaka, in New Zealand’s South Island. 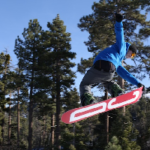 The “Big Mountain” event tests an athletes ability on very steep terrain where huge cliff drops and technical prowess provide a “wow” factor unlike any other discipline in snow sports. The “Freeride” event is held on undulating terrain where freestyle and aerial maneuvers tests the acrobatic skills of an athlete – basically the person having the most fun is certain to take the most points. The “VnC Cocktail Downhill” event is the grand finale of the competition where athletes races head to head together down the mountainside, the first to the bottom and across the line wins. The concept of adding together an athletes score across three distinctively different days of competition will find out who is the best “all round” skier and boarder in male and female genres of the event. The start list includes an array of some of the world most finest and respected athletes, as well as a young gun crew who are out to keep the big names honest. A short list of athletes include World Champions in Big Mountain Snowboarding Matthew Annetts and Susan Mol, skiers Ted Davenport, Ingrid Backstrom, Mike Wilson, Tim Dutton, Jackie Paaso from the U.S., former North American Champion, 2 x World Heli Challenge Downhill Champion and last weekends winner of the Volkl NZ Freeskiing Championships Geoff Small and Janina Kuzma, Australia’s Chris Booth, Russ Henshaw, Andrea Berchtold, 7 X World Speed Snowboard Champion Darren Powell and a host of others. Check out wheresharro.com for daily photographic updates that are showing now and right through until September 12th. The World Heli Challenge would like to thank VnC Cocktails, Qantas, Quiksilver and Volkl for their support. It has been ultimately the athletes who have funded this event to bring it back and its hats off to every one of those who are on the start list and the management team behind it that believe so greatly in this incredible sporting project. VnC’s award-winning cocktails are a unique new “bartender in a bottle” concept, designed by a bunch of innovative Kiwi’s who saw an opportunity to combine all natural ingredients with New Zealand’s best quality vodka. The VnC classic cocktail range uses only premium ingredients and 100% natural fruit juices, with no artificial additives, preservatives or colours. In the past year VnC Cocktails have exploded across NZ and their popularity is spreading around the world, with these unique cocktails being exported far and wide to China, India, Canada, USA, Mexico, UK and France. VnC Cocktails’ range of spine-tingling flavours includes Pomegranate Cosmopolitan, Feijoa & Apple, Vodka Mojito, Pacific Mai Tai, Strawberry Daiquiri and Margarita. Tony Harrington is one of the worlds leading action sports and lifestyle photographers who’s always out on the edge creating something new and exotic in the realm of media savvy projects. The World Heli Challenge was created in 1995 as a way for a group of elite athletes to come together and share the experience of flying around the mountains in helicopters and pushing the boundaries of the sport. The fallout effects of the September 11th New York bombings caused the international sponsorship market to collapse and the event took a rest for the past 8 years. Its since forever retained its legendary status and now roars back to life as powerful as the horsepower of the helicopters that airlift over 70 athletes, media, event and safety crew into the alpine environment for the most explosive event action on snow.